The iPad Air 2 Stand is a multi function stand and is great for your home, office and traveling companion. The new iPad Air 2 stand is an amazing iPad accessory. Your iPad Air 2 easily snaps into the protective shell. The stand on the back rotates 360° and tilts 180°. 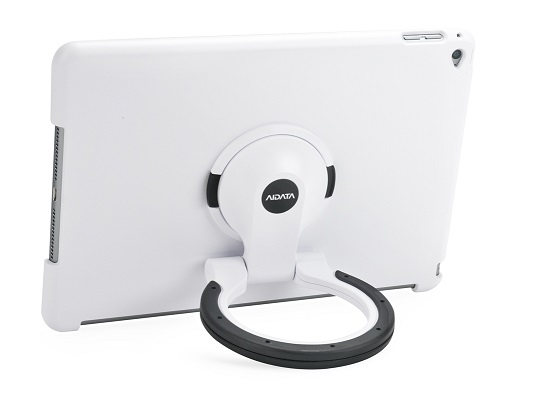 The ring on the back allows you to hang your iPad Air 2 on a wall or set it on a desktop.